Flexible Spending Accounts are becoming increasingly popular with Employers who wish to set themselves apart from their competition in the type of Benefit Plan they provide for their employees. Most companies still adhere to the more common & traditional manner of offering benefits – the “one plan fits all” approach, but this no longer suits the progressive thinking of today’s employer. 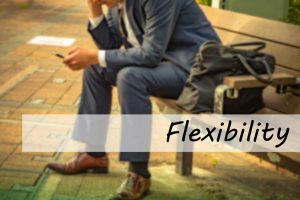 Flexible Benefit Programs assist employers to define a company’s cultures and addresses the needs/desires of different generations. A truly flexible benefit plan is one that provides employees opportunity to select their benefits from a menu of options…therefore: each employee is able to meet the individual needs of themselves and their families. 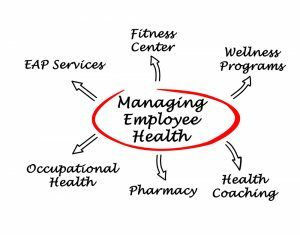 It allows for even the Healthy Employees to feel that they finally are able to use and see a “benefit” from their “benefit plan”!! As opposed to a “pool of premium dollars allocated to specific types and dollar amounts of claims per person”, a plan that generally only benefits the sick, an Employer determines the Total Spending Dollars that will be allocated to each employee during a Benefit Year. Then the Employer can determine how they wish to allow for employees to spend their funding – the options are numerous! A Flexible Spending Account designed by Health Risk Services can open up spending options such as Health, Dental, Wellness, Pro-active Engagement for Health, Retirement, Insurance, Parent or Child Care, Education and the list goes on! At Health Risk, we design Flexible Spending Accounts where the Employee can choose on an annual basis how they wish to spend their Funding Dollars on the parameters that the Employer has determined as above. The plan is then designed to offer an employee both NON-TAXABLE and TAXABLE spending accounts. The NON-TAXABLE Spending Account would allow for the reimbursement of all eligible Health and Dental expenses and would follow the same rules as the traditional Health Spending Account. The TAXABLE Spending Account does not offer the preferential tax treatment of a Health Spending Account. All funding designations allocated to this account will be added to the taxable income of the employee, where insurance benefit deductions such as EI and CPP will apply accordingly. These accounts however, reward the employee with additional dollars that will allow them to invest in themselves in a manner that is more conducive to their personal choices and lifestyles. The customized programs we will design for you and your employees will make you the “first choice employer”…an employer that will have the advantage to attract, retain and reward excellent employees! There is much to share with you about the advantages of implementing a Flexible Spending Account for your company and its employees!